Mule trader, major league ballplayer, sawmill operator, college trustee - Fremont, North Carolina's John Gaston Peacock enjoyed a varied life. Johnny Peacock's work as catcher for the Boston Red Sox embraced six full seasons and parts of two others, his big-league career ranged from 1937 through 1945. Born in Fremont, in the Piedmont region of central North Carolina, on January 10, 1910, Johnny grew up on a farm in an area where Peacock was a very common name at the time. He was born to Serena Aycock Peacock, a homemaker, and Frank Lee Peacock, a mule trader and tobacco farmer in and around Fremont. John was the middle of 11 children - five were born before him and five after. John Peacock Jr., Johnny's son, says that among his father’s brothers, there were two who were said to have been better ballplayers than Johnny, but they didn't have the desire or competitive spirit that Johnny had. Johnny was an excellent athlete in high school and accepted a basketball scholarship to the University of North Carolina starting in 1929. In college, he lettered in three sports - basketball, baseball (primarily playing second base and right field, and catching occasionally), and football. In his first football game, he ran the opening kickoff back for a touchdown against Tennessee. But it was on the baseball field that he had the most success; he won one notable game against Penn in April 1931 with a two-run triple that accounted for all the runs scored in the game. Peacock played some semipro ball for teams in Elizabeth City, North Carolina and Culpeper, Virginia. He graduated from UNC in the spring of 1933 and was signed by Cincinnati Reds executive Larry MacPhail at a tryout camp held at Beckley, West Virginia. At this one camp, MacPhail also signed six other players who went on to major-league careers: Lee Gamble, Lee Grissom, Frank McCormick, Whitey Moore, Jimmy Outlaw, and Les Scarsella. Peacock’s first pro team was the Wilmington (North Carolina) ballclub of the Class B Piedmont League. A November 1933 summary of Piedmont League play described Peacock as an "above par" outfielder. He played some second base for Wilmington Pirates manager Blackie Carter as well, batting .285 with seven homers and 45 RBIs in 103 games. Peacock played again for the Wilmington Pirates in 1934 (they were now a Cincinnati Reds affiliate), improved his average to .297 and played his first games as a catcher, though he wouldn't fully convert to catcher until 1937. His play earned him a promotion and his contract was purchased by the Toronto Maple Leafs, still in the Cincinnati system. In 1935, Johnny caught, played in the outfield, and played second base. At one time or another throughout his career, he played every position other than pitcher. 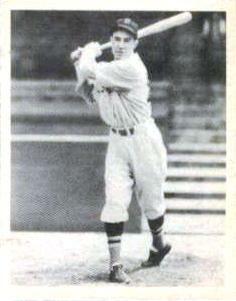 He got into 92 International League games in 1935, with 255 at-bats, and hit for a .290 average. The next year Johnny went to spring training with the Cincinnati Reds but wound up playing for Nashville in the Southern Association, hitting .334 in 112 games. His accomplishments earned him a big payday, prompted by an unexpected ruling by Baseball Commissioner Kenesaw Mountain Landis on November 29. Landis ruled that Peacock and infielder Lee Handley were both free agents, no longer under Cincinnati control, and that they were free to take offers from any ballclub other than Cincinnati. Normally, the sale of a player's contract would benefit the club making the sale; but because of Landis's ruling, the money went into Peacock's pocket - and he invested it well, buying three farms in North Carolina which he owned until 1965. Landis was upset at the transparent deception in player assignments of the day. In Johnny's case, as The Sporting News explained in its December 3, 1936 issue, his official file showed he had been "optioned by Toronto to Nashville early in 1936, with the option having been canceled, after which the catcher had been assigned by Nashville to Cincinnati for $500." The chicanery concerned the commissioner, who wrote, "The record ought to speak the truth. The fact is, however, that to these players the whole record is a pure fake. Toronto never had any independent, real title to the contract of either player. At all times, the Cincinnati club, acting through its vice-president and general manager, completely dominated and controlled Toronto's attitude toward these players as well as Toronto's disposition of the players and their contracts. In plain truth, the Toronto club corporation had no more control over or title to either Handley's or Peacock's [contract] than did the Toronto bat boy." In Peacock's case, "Nashville acted only as a turnstile and so understood it." Landis nullified both contracts due to their "irregularities" (as it was politely reported in the press). Three days after the Commissioner’s ruling, Peacock signed for a reported $8,000 with Tom Yawkey's Boston Red Sox. Yawkey had the money and made the deal, outbidding at least one other team, the Washington Senators. Shirley Povich reported in the Washington Post that Senators owner Clark Griffith was “thanking his lucky stars that he was unable to sign Peacock. …Griffith saw the lad in action for the first time at Orlando the other day. …He saw the Nats work a double steal against Peacock and generally outsmart him." It wasn't long before Griffith realized that Peacock was a player. The Red Sox assigned Johnny to the Minneapolis Millers, their top farm club, and by midsummer he was named to the American Association all-star game, held in Columbus, Ohio. By season's end, he was hitting .311, with seven homers and 54 RBIs in 109 games - and in August was formally added to the Red Sox roster for spring 1938 delivery. In the meantime, after the Millers lost to the Columbus Red Birds in the American Association playoffs, four games to two, Peacock was called up to play in Boston and debuted on September 23, 1937, catching Jim Henry, with whom he'd worked in Minneapolis (Henry had earlier pitched in 21 games for Boston in 1936). Johnny batted eighth in the order and was 0-for-3 on the day. Henry threw a complete game, though, and the Sox beat the Tigers, 4-3. It was a tight 1-1 game through eight innings, Henry matching up against Elden Auker. The Tigers took the lead with two runs in the top of the ninth, but Ben Chapman hit a three-run homer in the bottom of the ninth frame to win it. After another 0-for-3 day, Peacock collected his first hit on a bunt to lead off the third inning against the Yankees on September 26. It was the first hit of the game for the Red Sox, and he scored the first run. Johnny Wilson got the 7-2 win for Boston. In 32 at-bats in 1937, Peacock hit .313 (seven singles, two doubles, and a triple) and drove in six runs. He became a full-time major leaguer beginning with the 1938 season. As a backup to Gene Desautels, Johnny batted .303 in 195 at-bats and drove in 39 runs. It was an all college-grad catching corps, with Desautels (Holy Cross), Peacock, and Moe Berg (Princeton). Near the end of the year, Johnny hit the only home run of his major-league career: a bases-empty homer off Philadelphia Athletics pitcher Buck Ross on September 27 at Shibe Park and drove in three runs during an 11-1 pasting. His batterymate, Bill Harris, was 2-for-3 on the day. Peacock played more games than Desautels in 1939, getting into 92 games - up from 72 the year before. One might assume it was a platoon situation, with Peacock a left-handed hitter (he was not imposing - he stood 5’11” and weighed in at 165), but it was really just that the first-string catcher, Desautels, disappointed so Peacock was given the shot. Peacock, whose defense improved after coach Tom Daly suggested he use a more supple mitt, was better, but not sufficiently so to win the spot for good. Desautels wasn't hitting as well as before, and more was asked of Peacock but his average ultimately declined, too, to .277, with fewer RBIs (36). Moe Berg even picked up a little more work. Peacock played an important role on the team, but never again matched his 1938 season. After the 1939 season was over, The Sporting News summary of the season tried hard to be understanding of Peacock’s inexperience as a catcher, terming him "a better than fair hitter, but a reconstructed catcher who was not naturally a receiver and was learning the art the hard way - by catching big league games." Johnny had three years of catching under his belt, though. Another article in the same issue said, "Peacock did a lot of catching for the Red Sox, but did not develop along defensive lines as rapidly as had been expected." He'd committed a career-high 10 errors, but his .972 fielding average was not too bad. He improved. In 1940, he committed just one error and in the years 1941, 1942, and 1943 he erred just four times each. In 1942, his .988 average was third-best among major-league catchers, behind Al Lopez and Otto Denning. By mid-1941, sportswriter Jack Malaney acknowledged that Peacock’s catching "has improved to the point where he now is a very acceptable receiver" but he wasn't hitting as well early in the season. Then he reeled off a string of eight consecutive hits in mid-July and finished the year with similar numbers to 1940: .284 in 1941 to 1940's .282. He had twice as many at-bats in 1941 and his RBI totals were proportionate - but not large: only 27 in 1941. “He’s my idea of a hustling ballplayer,” said Lefty Grove in midseason. Desautels, Foxx, and Peacock more or less shared catching duties in 1940, but Gene was clearly the first-string catcher. In 1941, Frankie Pytlak took over the first-string role. Come 1942, Pytlak developed a foot infection in the offseason then was called into military service. Peacock experienced some problems with his ankles and shins due to the soft and sandy soil in Sarasota. He shared catching duties with Bill Conroy in 1942, with Conroy getting just a bit more work. Johnny expected he'd be off to war, too, and had gone as far as giving all his clothes away to his brothers when John Jr. was born in January 1942. It was literally the day before he was to leave that he received the word that, because he now had two children, he was exempt. Johnny had married Julia Brown and they had two children, Julia Bates Peacock (b. 8/15/1937) and John Jr. (b. 1/20/1942). John Jr. claims another sister, too: Mary Ruth Crawford. In 1944, Johnny and his wife were approached by the Methodist Church in Fremont and asked if 13-year-old Mary Ruth could come practice piano at their house because she had talent but had no piano of her own. Her mother had died when she was an infant and her father was "the town drunk,” John Jr. says. “I loved Mary Ruth so much and my sister - who was older than I was - she liked her so well that my mother asked Mary Ruth to go to Boston with us that summer when school was out, to babysit us. She said she'd love to. Well, Daddy was traded to Philadelphia that year and during the war it was extremely hard to find housing. Mary Ruth was so disappointed that she wasn't going to Boston. Daddy told Mother, Why don't you just rent a beach cottage at Carolina Beach, North Carolina, for the summer? So Mother asked Mary Ruth to go with us, she did and she never left. She stayed with us until she finished school and was married. My father never legally adopted her." Mary Ruth got married and had five children. Johnny's birth sister married as well, retired, and lives in Wilmington, North Carolina. Johnny's average dropped in 1942, down to .266 - still not bad for a catcher (and much better than Conroy's.200) The following year he dropped to .202, getting into only 48 games, and driving in only seven runs. Roy Partee handled most of the catching. Peacock was involved in an incident in 1943 that made headlines across the country. The Red Sox were playing at Washington's Griffith Stadium on May 9. The Senators’ Ellis Clary was batting. For no apparent reason, Clary flung his bat away, ripped Peacock's mask off, and started hitting him. The two "sprawled all over the plate" and it took quite a few players to separate them. Peacock later admitted he had taunted Clary. In 1944 the Red Sox had Partee at catcher, and added Hal Wagner. Peacock had only four at-bats in four games for the Red Sox before he was sold to the Philadelphia Phillies for the waiver price of $7,500 on a June 11. With the Phillies, Johnny played in 83 games, hitting .225 in 253 at-bats. He drove in 21 runs. He even played one game at his old position, second base. Though he had been declared exempt from the draft earlier, with the increased need for men Johnny learned that he was called for induction on February 23, 1945. He was then given a 40- to 60-day extension, and so trained with the Phillies and began the season with them. His average drifted even lower; after 74 at-bats, he was hitting just .203. He had six doubles, six RBIs, six bases on balls, and scored six runs. With Mickey Owen in the Navy, the Dodgers needed a catcher, though, and several hours before the June 15 trade deadline, they swung a deal with the Brooklyn Dodgers, getting former outfielder and now converted pitcher Ben Chapman for the veteran Peacock. The transaction earned a headline in The Sporting News: "Peacock Added to Flock, All Brooklyn Preening." Writer Harold C. Burr offered his evaluation: "Peacock is what ballplayers call a good receiver. He hasn't any terrific plate punch, but he will hit for you in the clutch." Another assessment was less kind, calling it a “nothing for nothing trade” since Peacock had a broken hand at the time and Chapman a sore arm. Johnny played well for Brooklyn and batted .255. In November, though, with so many ballplayers coming back from the service, he was sold to the New Orleans Pelicans, to become player-manager for the Southern Association club. He finished in the majors with a lifetime .262 batting average in 619 ballgames. With the Pelicans, Peacock became a backup catcher. One of the first games he put himself into was an exhibition game against the Dodgers in New Orleans on April 7; Johnny won it with a pinch-hit single. He sent himself to bat 54 times during the season, and hit .259, but with three tobacco farms to run back in North Carolina, he decided to call it a career in baseball. In fact, there was more business than just the three farms. While he was playing in Boston, a local hardware store declared bankruptcy and Peacock bought up the inventory and sent it home to North Carolina, opening a store in Fremont called Peacock Builders Supply. His oldest brother managed the store, selling building materials and hardware. In all, Johnny put four of his brothers in business. A sawmill and cotton gin came up for sale, the John C. Rose Lumber and Gin Company. Mr. Rose had lost his son, who was killed in the South Pacific, and he lost heart. Rose's daughter married Jimmy Peacock, one of Johnny's brothers - a pilot shot down and taken as a prisoner of war in Germany. Johnny and Jimmy bought out Rose, but within six months, Rose wanted back in so they worked out a three-way split. Johnny and his son John Jr. bought the company from Rose in the late 1960s. Peacock father and son were already operating a sawmill in Wilson. At one point, Johnny also ran a grain dealership buying wheat, corn, and soybeans. At the height of their varied operations, Peacock employed up to 180 people. As a prominent businessman in Wayne County, Johnny was invited to serve on the board of trustees of the Wayne County Memorial Hospital. In 1963, he was appointed to the board of Wayne County Community College. He served five terms, becoming vice chair. His son says the college began as an industrial school and his father felt that it was very important to teach trades to young people who lacked either the means or desire to pursue a college education. The college has grown dramatically since the time he joined the board.